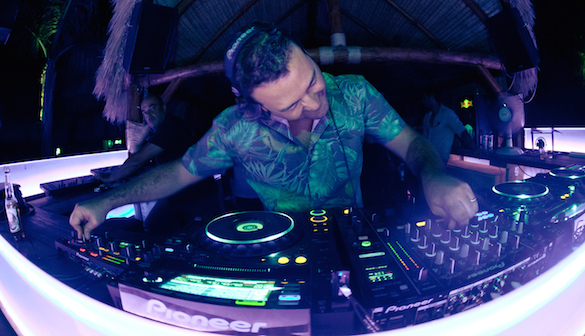 House DJ/Producer & Palma De Mallorca resident Kiko Navarro got into the music business during the 90s, specifically with club DJing in 1990 & music production in 1992. 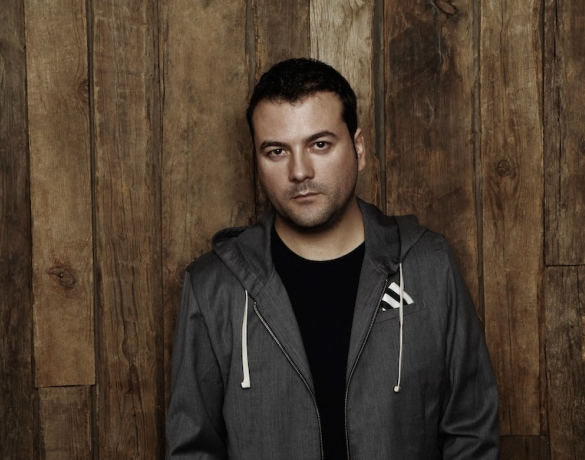 As a DJ, Kiko has held residencies at many famous venues like Pacha Palma de Mallorca, Club 113 in Palma de Mallorca, Neighbourhood in West London, he was also an official Pacha Ibiza Resident DJ (2008) and during the summer of 2012 he played monthly at Space Ibiza club. His music represents the fresh modern vibe of today while at the same time fusing elements from the past to give it a unique flavour. Respected imprints like as Z Records, King Street, Peppermint Jam, Transport, Third Ear, Yoruba Records, Om Records, Stereo Productions & Chez have released various projects from Kiko over his career. Back in the golden age of Yellow Production’s Africanism, I was lucky enough to receive their promos thanks to Alain, I used to play all the releases because they were top quality bombs straight for the floor. When I first listened to ‘Les Enfants Du Bled’ — I thought wait a minute, this is different, and very special! It’s powerful Afro beats with an Arab touch, hypnotic leads, amazing atmospheres and a breakdown that gets the crowd euphoric with its build up. I’m still playing this in my DJ sets, and it sounds fresh after all these years. You can hear it’s influence on “Mandala”. I’m a big fan of the Ibadan label and I used to buy all the vinyls I had on my hands, I think this particular track was like an special dub of Kerri & Jerome remix of The System – You Are On My System. I first bought this during WMC at Uncle Sam vinyl store, from the first listen I was totally in love with it, I already knew the original but they remixed it amazingly. After Kerri Chandler released Atmosphere – The Lost dubs, which included the instrumentals of The System remix, and finally (later) released the great Atmospheric Dub on the Ibadan DJ’s Tool Vol. 1. I played that cut so many times until it was properly released as a 12” single. I have many good memories of playing this in different parts of the world, Japan, Kazajstan, Dubai, USA, Spain, always with excellent reaction. You can hear it’s influence on “Hope”. Who has the answer? I think each one of us have our own one but for sure we have something in common. Wild Pitch, “I think I love you!” As the Roach Motel track said, “Yes I love it too! !” I think Dj Pierre together with his fellas; Roy Davis Jr. & Felix da Housecat, really did something new, fresh and avant-garde for the hard side of House Music. For me, it was a great vibe to get people crazy. I think they wrote a page on House Music History, Wild Pitch is here to stay. The are lots of excellent Wild Pitch tracks from DJ Pierre — I picked this one because the tittle says everything… You can hear it’s influence on “Save Me”. Originally written by Stevie Wonder, Kings Of Tomorrow did a great remix of the Mateo & Matos version on Glasgow Underground Records. I think the first KOT record I bought was “I’m So Grateful” in 1995 and since then I have been playing almost all their releases. I loved the way they were changing the style, sometimes dark, uplifting, but always with soul. “The Real Thing” is another timeless track, I like the snare swing in it’s beat, the power of the bass-line — which fits perfectly with the mellow Rhodes chords and the amazing vocals. You can hear it’s influence on “Anne Graun”. I can’t finish this list without including a TB303 track. This machine has been one of the reasons why I became a DJ. I remember back in 1988 when I first listened to Jolly Rogers – “Acid Man”, I wondered; “What is this sound?? ?” It sounds like my stomach when I’m hungry!!! At that time, I was more into the Hip-Hop music but it really caught my curiosity and I started to look for more Acid tracks. This track is a clear declaration of what Acid House is, including again, some Wild Pitch elements… You can also hear it’s influence on “Anne Graun”. Kiko Navarro latest release “Tribute To My Influences” is out now on Traxsource. Kiko Navarro latest Traxsource DJ Chart.